A CUNY Rising Town Hall at Brooklyn Borough Hall is scheduled for Tue. Nov 22, 6 pm. 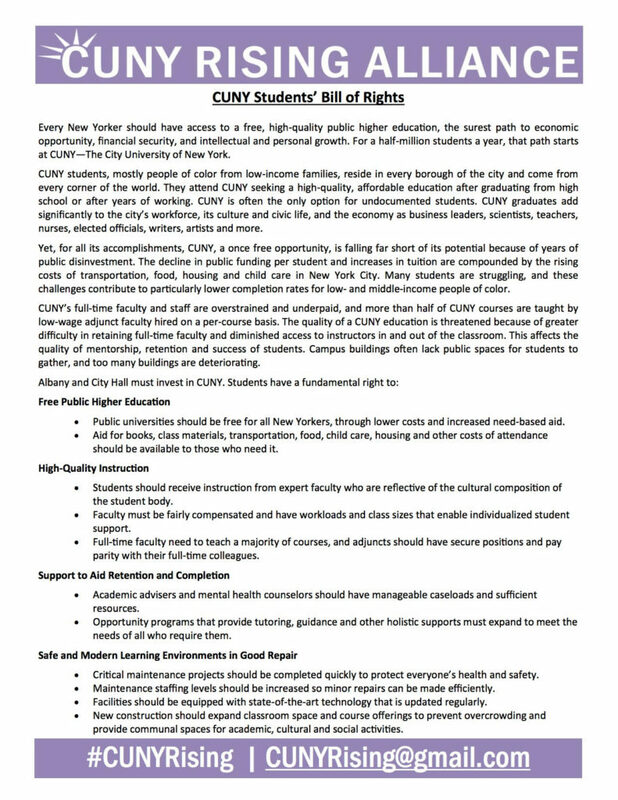 It’s in support of the CUNY student Bill of Rights, see below. The CUNY Rising Alliance includes dozens of community and labor groups listed on the flier below. What we’re seeking to do is name the crisis of chronic defunding, first of all, and give students, alumni, and faculty a platform to address its impact.